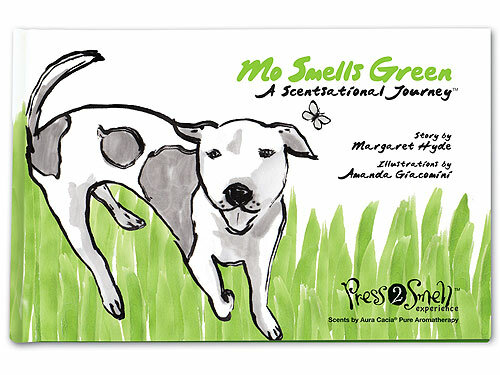 Mo Smells: A Scentsational Journey (Mo’s Nose) is a book series by Margaret Hyde. 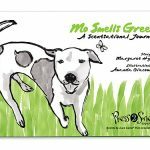 This wonderful book series is inspired by a real-life rescued dog! Mo interprets the world through his extra ordinary sense of smell. Each book uses pure essential oils to weave scents into the story line. Parents can connect this to a discussion on how smells can be calming and how children may have different reactions to different smells. Children love animal books! This book creates a mindful experience by incorporating the sense of smell. Children will be engaged by Mo’s adventures, which will enhance language skills and learning. We are going to read a book about Mo. Mo goes on a journey using his nose. As we read the book please raise your hand if you would like to smell the page. It’s okay if you don’t like the smell or don’t want to smell. We all have our unique likes and preferences and that’s what makes us special! Sit up tall in easy seated. Take one deep breath. Let it out. Let’s begin our story. Previous PostMindful Eating with Berry KabobsNext PostWhat is AntiGravity Aerial Yoga?